Hollywood Style Camera Mounts for Cars, Bicycles, Motorcycles, etc. 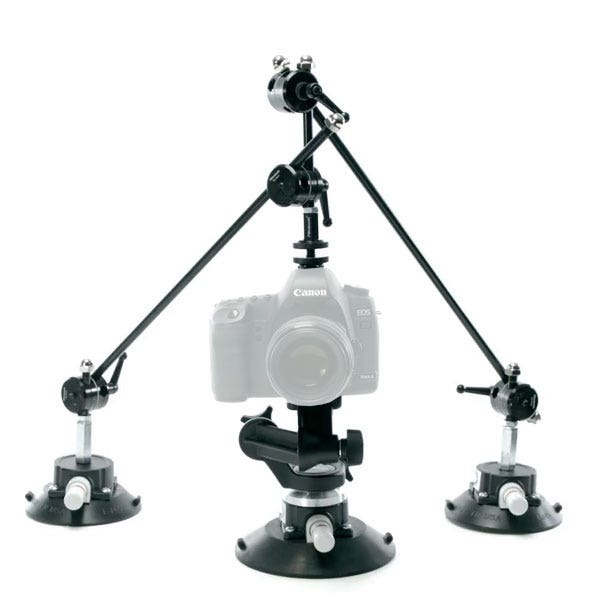 Hollywood Style Camera Mounts made from 5/8" grip components, suction cups and clamps. Whether you shoot with a Mini DV Camcorder, DSLR, RED ONE, or a fully outfitted Panaflex, we have the solutions for your camera rigging needs.